Steam traps are highly important to an array of processes and industries. They have two priority functions: to remove condensate from a line as soon as it is generated and to prevent steam discharge. There are several installation faux pas that can negatively impact the purpose of the steam trap. However, if steam trap installation guidelines are adhered to these issues can be avoided. In this article, we will be explaining how to install a steam trap and the best practice for steam trap maintenance. 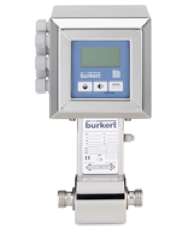 When installing your steam trap, you much first consider the best location for the equipment. Since the inlet side of a trap is simply an extension of the steam main, it makes sense to install the trap close to the main line to limit heat loss from radiation. However, steam mains are commonly set in high locations and therefore installing the steam trap next to the mains can make it extremely difficult to inspect and maintain the trap. This issue can be resolved by a sturdy ladder being permanently installed alongside the trap for easy access. If installing the steam trap in conjunction with the steam mains is not possible for your processes then consider a horizontally installed trap. If you choose this option the trap must be installed as close to the vertical drop leg as possible and the trap inlet piping should be very well insulated to restrict heat loss. Strainer – It is recommended to use strainers with all steam traps as they increase trap life by removing scale and dirt from the process. Isolating valves – Gate or ball valves should be installed before and after the steam trap to aid maintenance by separating the steam trap from the rest of the system. Unions – These should be installed between the isolating valves and the steam trap in order to remove or replace the steam trap if necessary. Air vents – These should be installed to vent large quantities of air from a system. Vacuum breakers – Vacuum breakers work to eliminate problems by introducing air to prevent a vacuum from forming inside equipment when it cools. Once all of these extra pieces of equipment are installed your steam trap should work effectively and efficiently. There is routine steam trap maintenance that must be carried out to keep them clean and in good working order. This can include taking out parts, cleaning them and re-using them. You must also renew any suspect parts that are broken or not working to an optimum standard. Renewing the internal parts of a steam trap can save both time and money. As the body of the trap will most likely last as long as the plant to which it is fitted, it makes more sense to replace internal parts rather than taking out the whole trap and fitting a new one. An example of this is in thermodynamic steam traps. If the seat or disc faces of a thermodynamic trap are damaged, the disc can simply be replaced. The elements of thermostatic traps can usually be changed by simply removing a screwed in seat. Replacement is easy and the remade trap will be reliable assuming the maintenance is carried out correctly. In some cases, steam trap maintenance is not possible and you will have to completely replace your steam trap. If you have carried out a proper steam trap installation then this shouldn’t be a problem. It is essential that the traps be replaced easily as to not disrupt the rest of your process, therefore you should assure that unions are fitted either side of the steam trap. Unions allow for a rapid easy removal and replacement of the sealed trap. At BM Engineering we are proud distributors of Valsteam ADCA steam traps and are trained in the whole catalogue of Valsteam products. For more information on how to install a steam trap or for advice on steam trap maintenance get in touch today on 0141 762 0657 or email us at sales@bmengineering.co.uk.